How to activate Sticky notification? If you missed a message or an event, Brosix can show you a reminder notification at the bottom-right corner of the screen, as shown below. This notification is called a “sticky notification” because it stays there until you take some action by either responding to it or closing it. 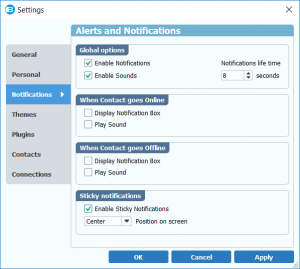 In order to enable sticky notifications, begin by clicking on the “Brosix” tab and selecting the “Settings” option. 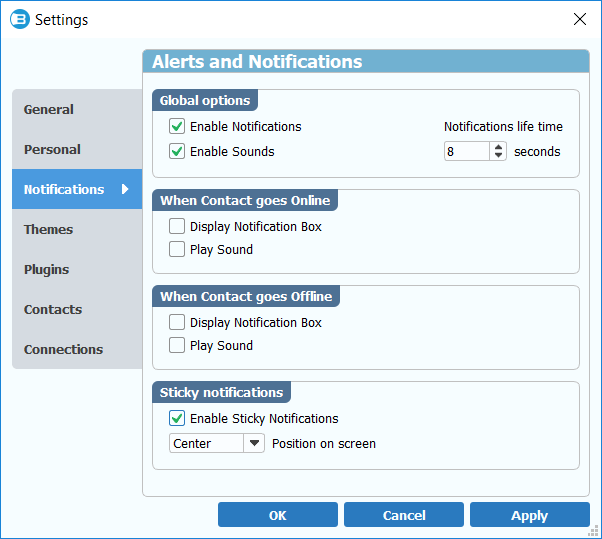 From the settings window select the “Notifications” tab and select the “Enable sticky notifications” option.